What would you do if you had 25 acres of land to use in Orange County? Would you build up some houses and start diving into real estate? 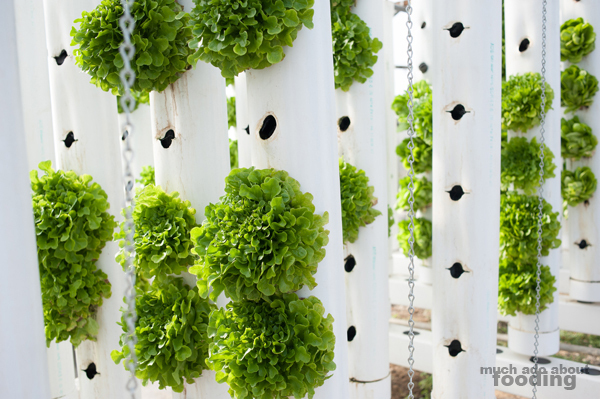 Would you start farming livestock and tending to the earth-planted crops you started? You could make quite the contribution to the local agriculture and community by doing so. However, if you were really innovative, you could think outside of the box and do what the pioneering Chef Adam Navidi did. 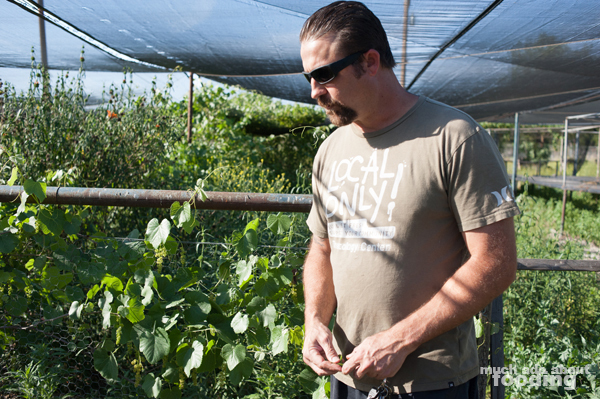 He built up Future Foods Farms in Brea as one of the largest aquaponic operations in the entire state. Though the produce harvested from the farm's greenhouses is used for commercial purposes in restaurants and catering, the intent behind this system of growing food is not for profit. Rather, Navidi is rapidly growing these organic crops using methods he has developed with the goal of helping make agriculture more sustainable and ubiquitous to the world. He wants to help fight hunger all over. We had to learn more about how his systems work towards that goal of eliminating starvation. "I wanted the best food to work with that's possible - how do you have anything fresher than this?" 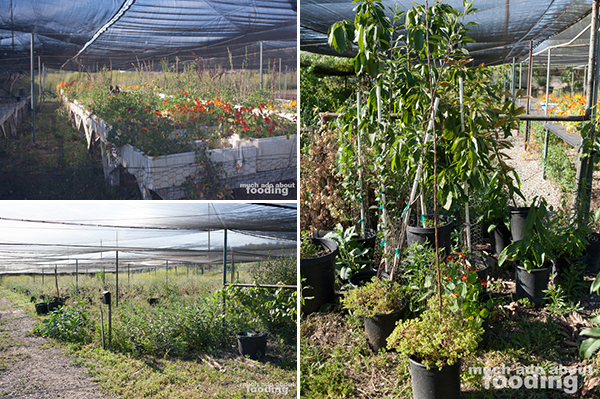 2,000-4,000 ft² greenhouses house all of his aquaponic crops but are just a small part of the entire farm. All around we saw wild growth of mustard and other edible weeds which Navidi uses in his cooking. With each one, research has gone into levels of nutrition and value to humans; just in one area, we saw rosemary, blackberries, agaves, black sage, and stinging nettles which have all been used at one point or another in his menus. Wild sorrel was abundant everywhere and eventually made its way onto our plates at Navidi's Oceans & Earth restaurant. 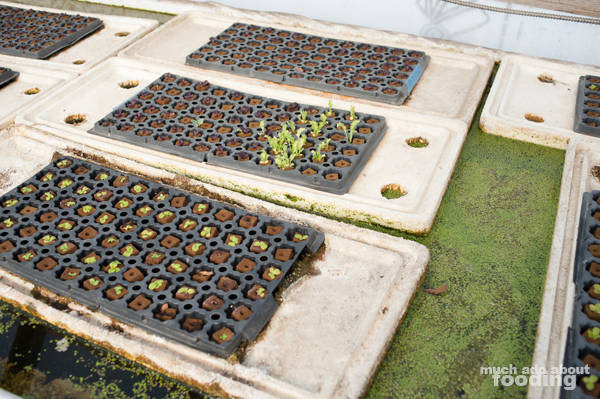 We explored the non-aquaponic sections for a while to view the farm's germination area and other important stations for his operations. Chicken coops sat near the edge of the property, and though we weren't graced by their presence at the time, there exists approximately 350 goats that roam the acreage. Taking an underground bridge to the other side of the property would have brought us to his flower plots. Out of curiosity, I inquired about the different wild plants coming up into his netted grow area. 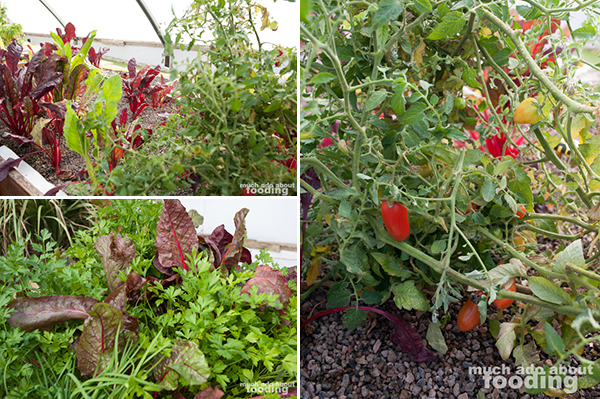 Tomatoes, tobacco, nasturtiums, avocados, mugwort, and wild champagne grapes were just a handful of the "intruders" in these sections but all were welcomed and helped along to be viable. Eventually mushrooms are expected to join the mix. In the meantime, potatoes of several varieties are being grown in old Styrofoam coolers, another admirable aspect of Future Foods Farms which focuses on reusing resources where possible. Considering that Navidi first started growing produce in old salad bars as "raised beds,"it wasn't a surprise to recognize so many bits and pieces of the farm as previously used every day items smartly put together into working systems. 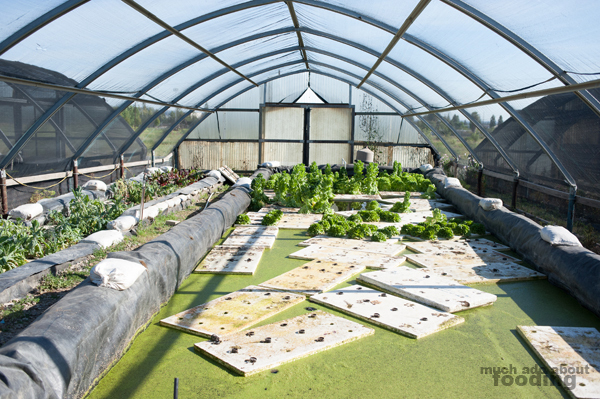 But let's dive into what makes Future Foods Farms really special - aquaponics, a closed-system farming technique that mutually benefits aquatic life and plants with animal waste feeding plants and plants purifying water. Navidi was adamant about how important it was that we look to these methods as a way to help the future; when America only produces 1% of the fish we eat, he says, we're in trouble. 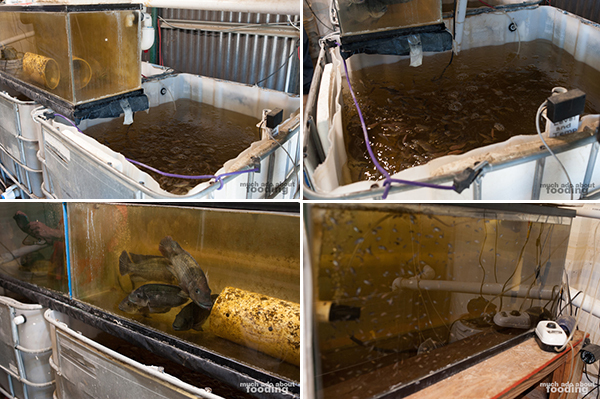 We stepped into his hatchery as he enthusiastically gestured to the impressive set-up that has been built with a "brain" - an automation system that scans and detects each tank from egg to adulthood. It makes sense why Future Foods Farms can boast having the highest survival rate in aquaculture in this part of the country then; they have science on their side! 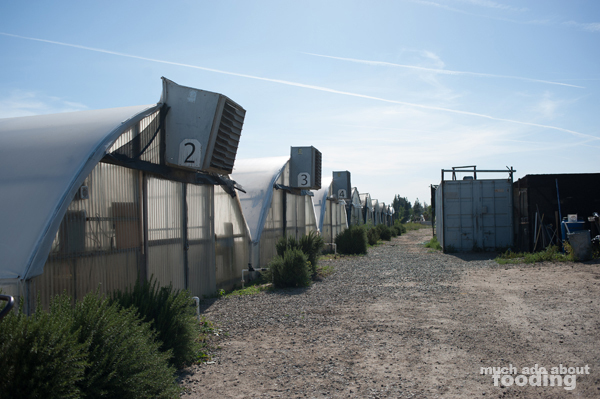 Temperature, pH levels, and the like are all monitored with ease, and any manual work that needs to be done is conducted by Navidi himself and a team of several college interns who are doing research about the farm. 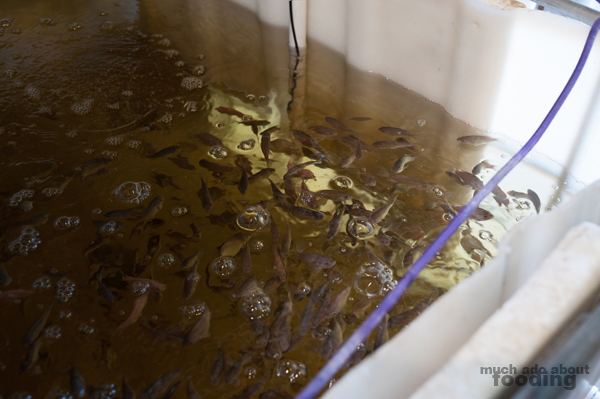 The result of such meticulous studying of fish life (they use tilapia) and focus on the infrastructure of everything is a highly efficient and effective growing system. 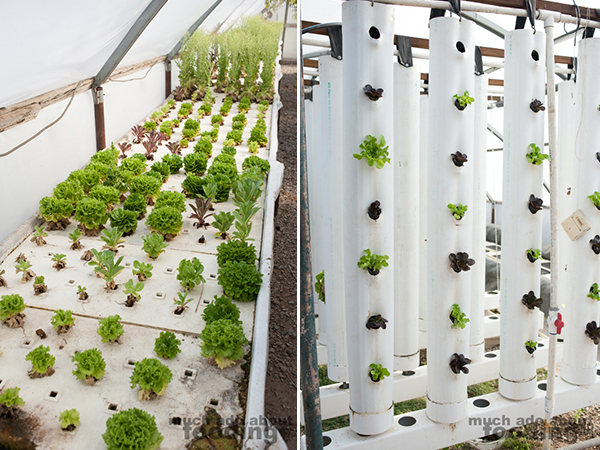 Navidi pointed out that they are constantly testing and researching the various ways of keeping the operations afloat to pinpoint the best practices for aquaponics. Stepping into the research greenhouse gave us a good sense of how serious he and his team are. 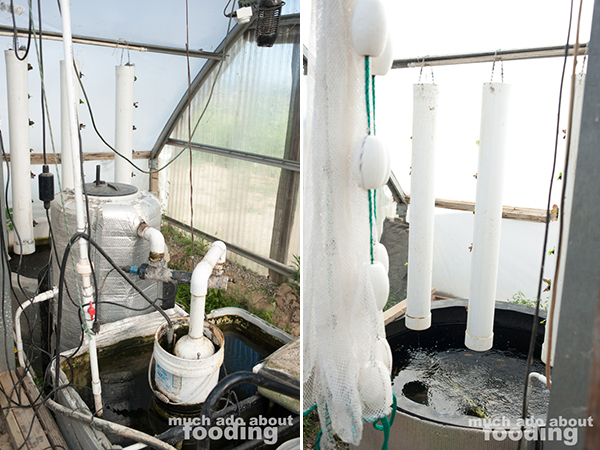 Four different growing methods - vertical, flood and drain, nutrient film technique (NFT), and deep water beds - are employed at Future Foods Farms as well as variations in the fish diets, all to ascertain the exact techniques that yield the best results. "I want our whole system to be better than organic, and it just has to be. If you spray the plants, that will go directly to the fish, and you'll see the impact." 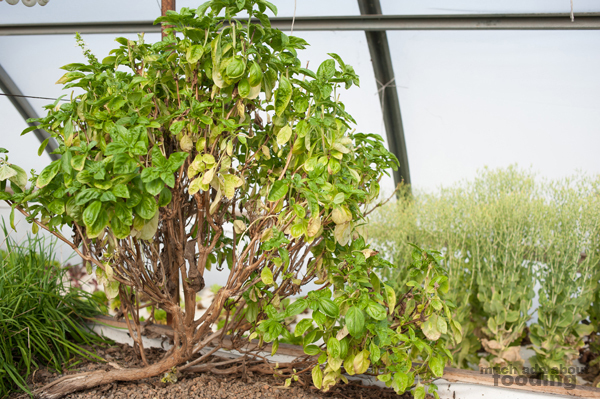 Navidi's invention of systems in his research greenhouse include his dedication to reusing items. Crops deployed through the deep water technique were netted into what were once lids from salmon boxes delivered to his restaurant. By reducing waste and reusing materials, the farm can continue to flourish responsibly. I inquired about the best technique so far for lettuce, and it seems that the vertical growing is the winner. 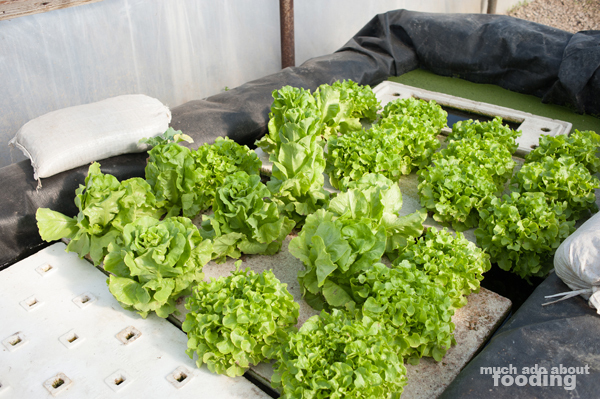 The potential is there for the farm to produce 15,000 heads of lettuce per month (it takes 28-30 days from germination to harvest) at just the bare cost of one gallon of water used per head of lettuce. I, for one, have never heard of such efficient and water-conscious techniques before. In fact, Navidi boasted that this 25-acre property's water bill monthly is still less than his own home's. As for energy, all of the greenhouses together only use 70 watts of power for pumps, a minimal amount. We could see the effectiveness of the farm's techniques immediately once we looked at the abundance of crops. Those nestled in troughs for the flood and drain technique were intensely healthy and almost unmanageably bounteous. I marveled at the woody "trunk" (nothing else I could call it!) of a year-old basil plant that just kept growing and growing. Plump, sweet tomatoes dangled from vines high and low, ready for the picking. 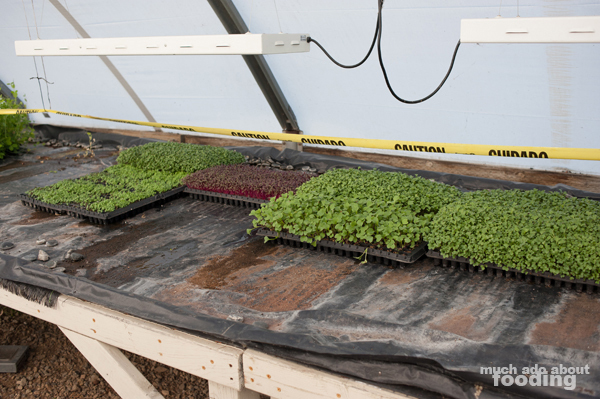 Trays of microgreens also were scattered here and there, healthy and lovable. With an operation like this, it is no wonder that Future Foods Farms is committed to its cause. 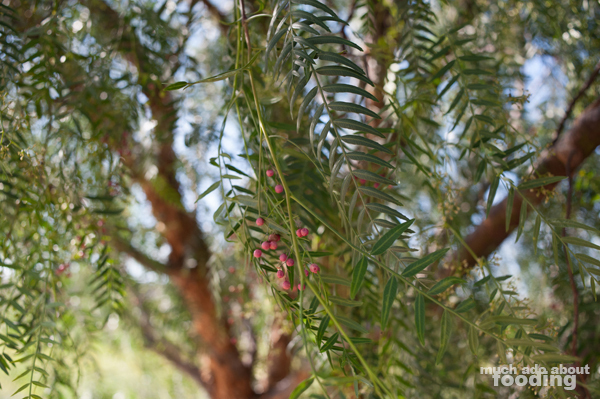 Whether it is the intense work that goes into maintaining aquaponics systems or the gentle coaxing required to pull forth wild growth into usable contributors (like the beautiful pink peppercorn tree we saw), Navidi is certainly dedicated and has identified something necessary for the world. He shared with us that he hopes to release a book about wild foraged weeds focusing on recipes and nutrition throughout which will very much interest us and hopefully you. In the meanwhile, enjoy what hard work has gone into each ingredient the next time you're at Oceans & Earth or an event where Navidi is catering. Future Foods Farm is really onto something.